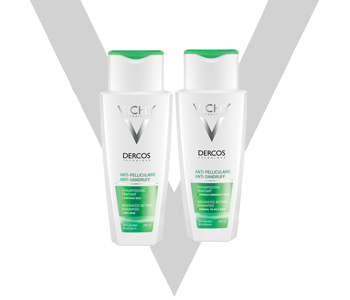 Vichy Anti-Dandruff range soothes and prevents the flaking of the scalp. It is suitable even for flakes that are large and difficult to remove that is specific to a seborrheic scalp. There is a visible elimination of dandruff from the 1st week with patented anti-recurrence technology. Efficiency continues after stopping treatment. For the very 1st time, a Selenium Disulphide based formulation is presented in a light, smooth, texture. Fibre results, instant, long-lasting shine and tone.